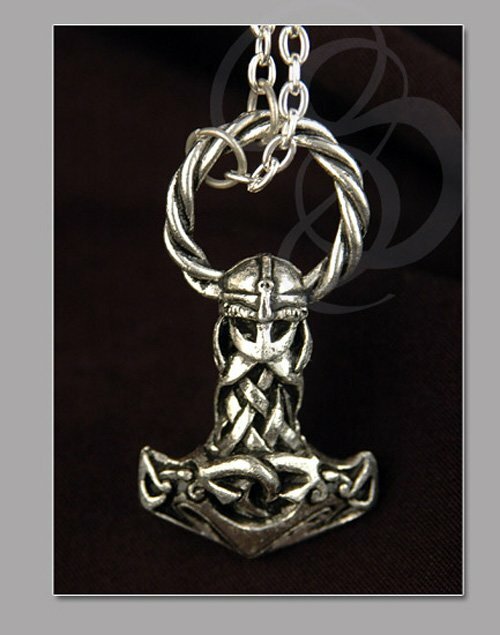 Mjolnir is possibly the most recognizable of all Viking symbols. Besides the silly horned helmets which were never actually used by Vikings, that is (except for Hagar the Horrible, of course). 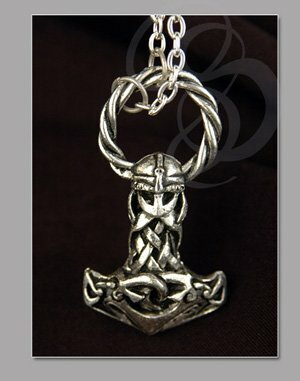 This pendant features detailed Viking carvings, stylized and capped by a mean-looking Viking spectacle helm. The details on this piece are fantastic. Carved entirely in pewter the piece has a very nice heft and a very authentic look to it. 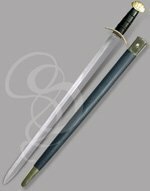 Material: Gilded Pewter. Comes with silver chain.